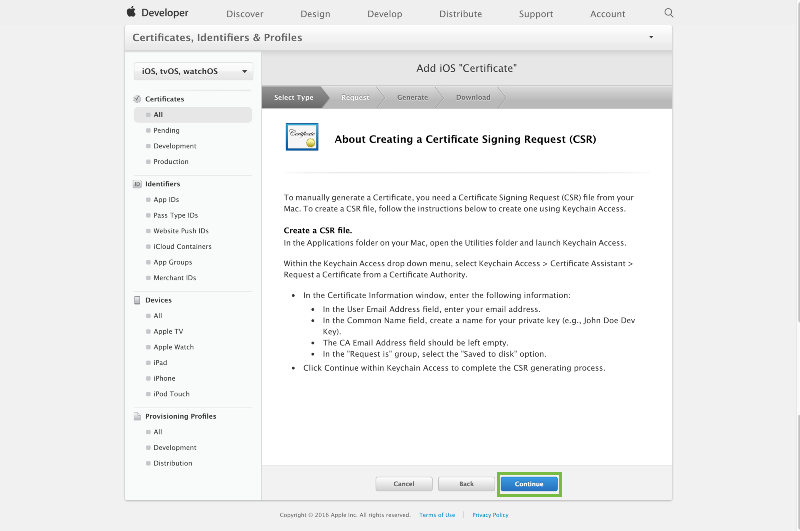 How to Export a Push Notification (APNS) Certificate in a p12 file? 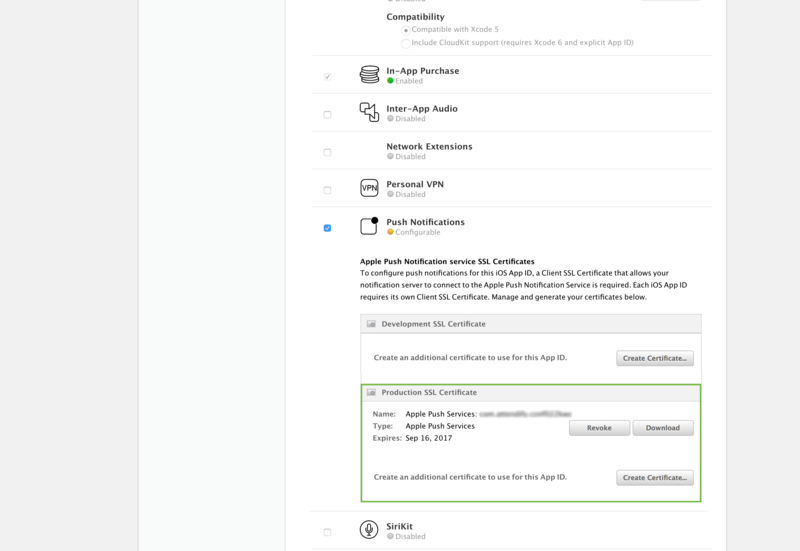 Learn how to generate and export APNS certificate to enable push notifications for your app. 1. 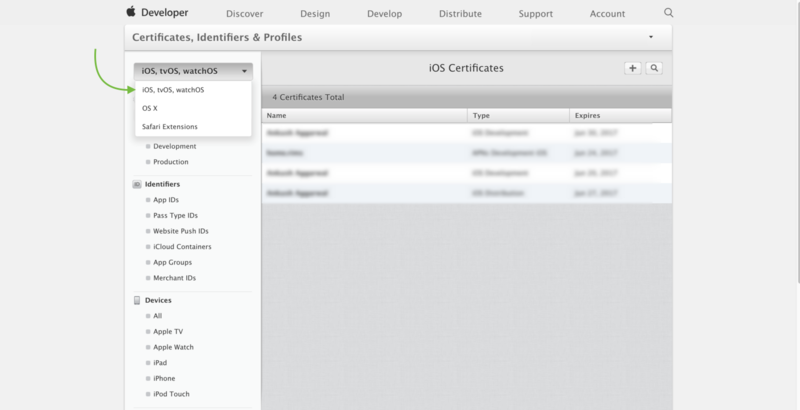 Login to Apple developer account and click Certificates > Identifiers > Profiles. 2. 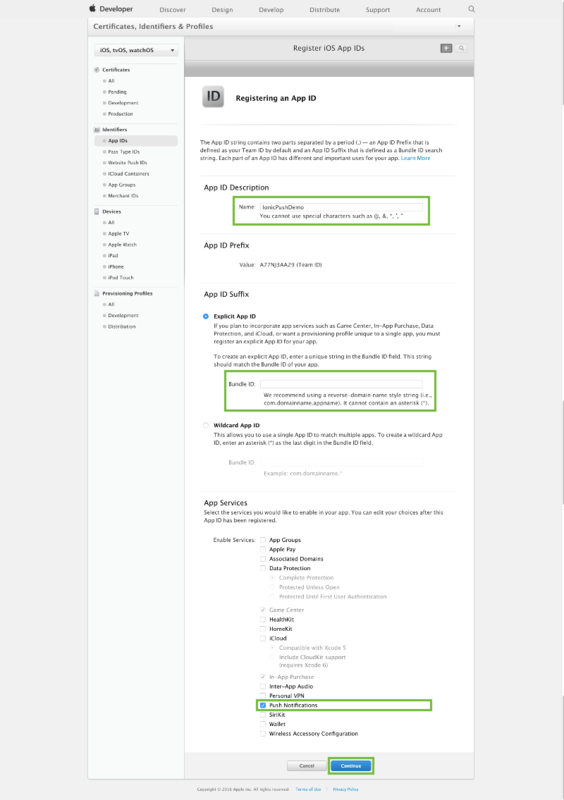 Select iOS in the drop-down menu on the left. 3. 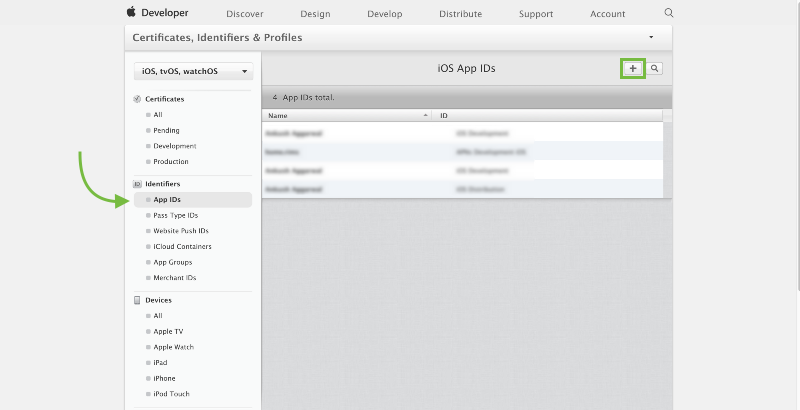 Click "App IDs" in the left-hand side menu and create a new App ID. 4. 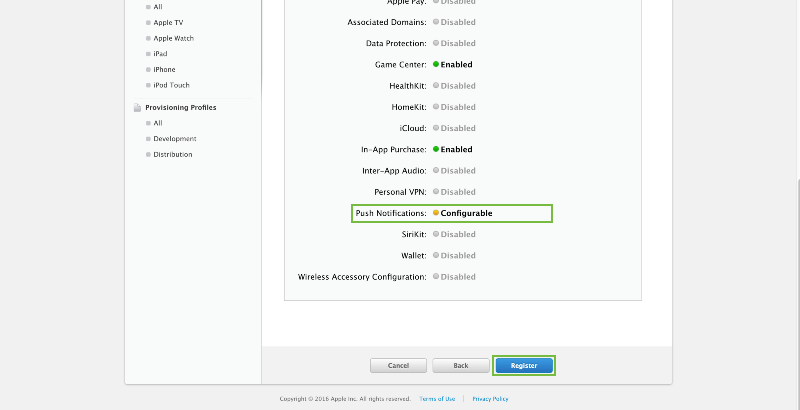 Specify App name, Bundle ID, select Push Notifications, and click "Continue" at the bottom. 5. 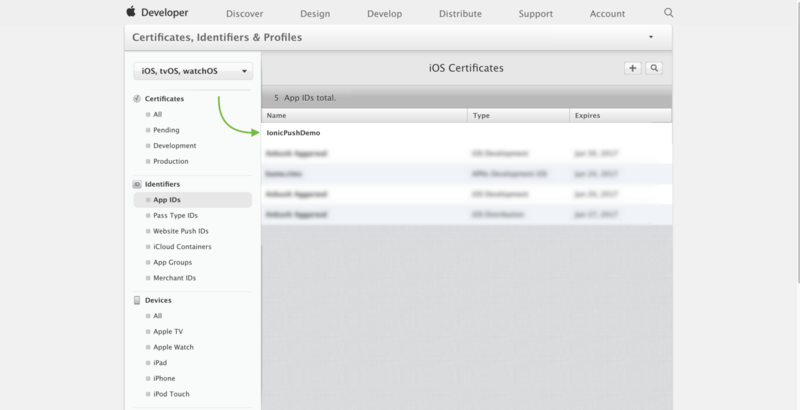 Click the button "Register", then "Done" to complete app registration. 1. 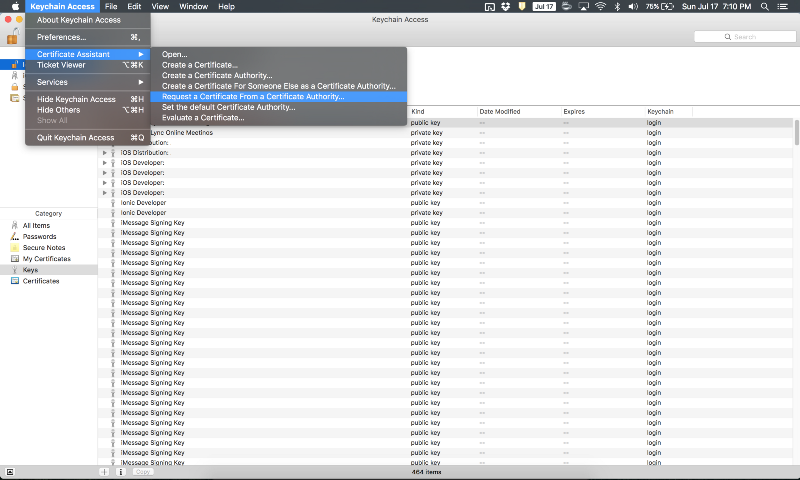 Launch the Keychain Access application on your Mac and Select Keychain Access > Certificate Assistant > Request a Certificate From a Certificate Authority. 2. 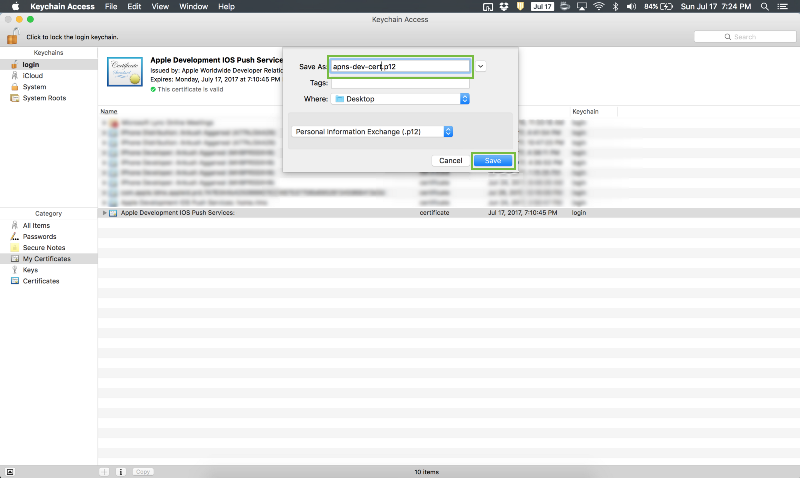 Enter your email address and check the "Saved to disk" option, then click "Continue". 1. 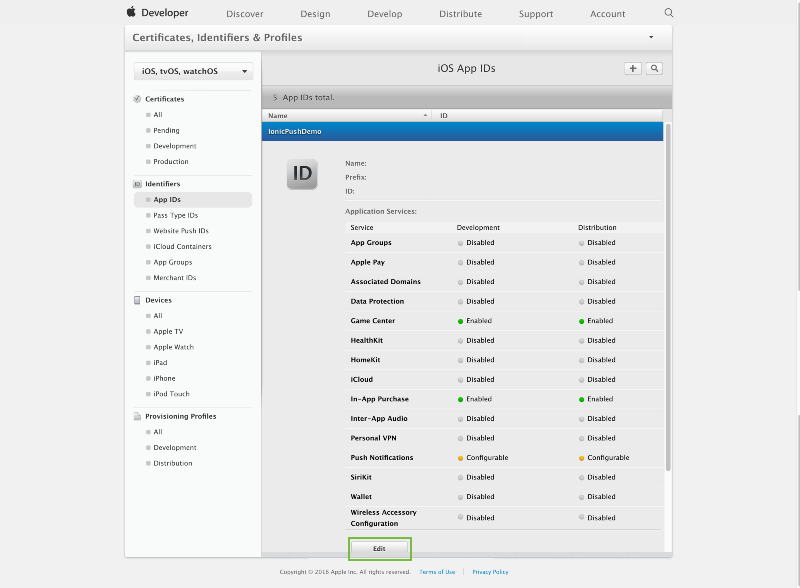 Go back to the developer account and select the app from App IDs and click "Edit". 2. 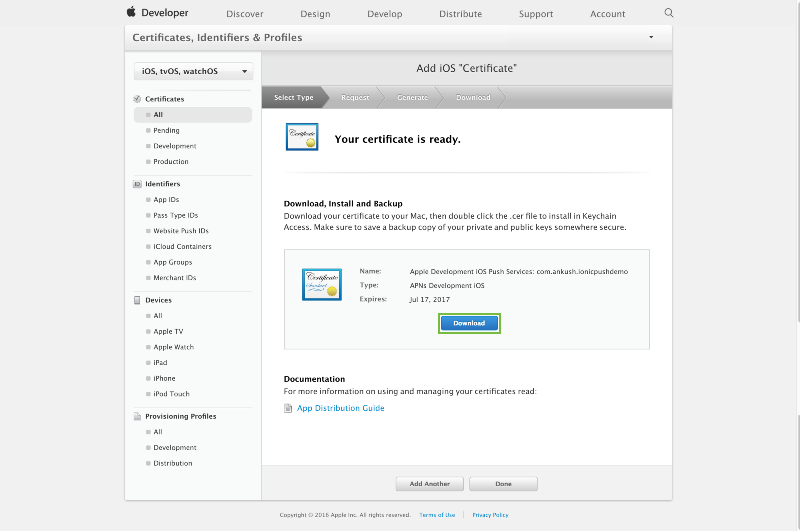 Scroll Down to the "Production SSL certificates" section and click "Create Certificate". 4. 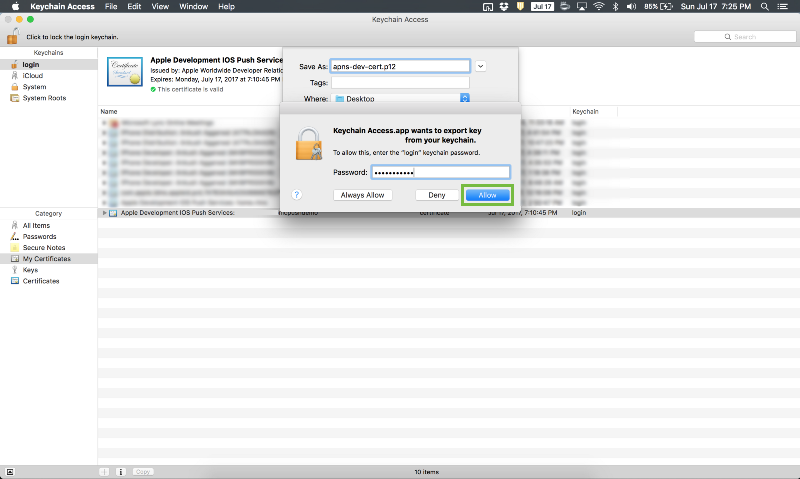 Choose the certificate file created from Keychain Access in the previous section and click "Continue". 5. 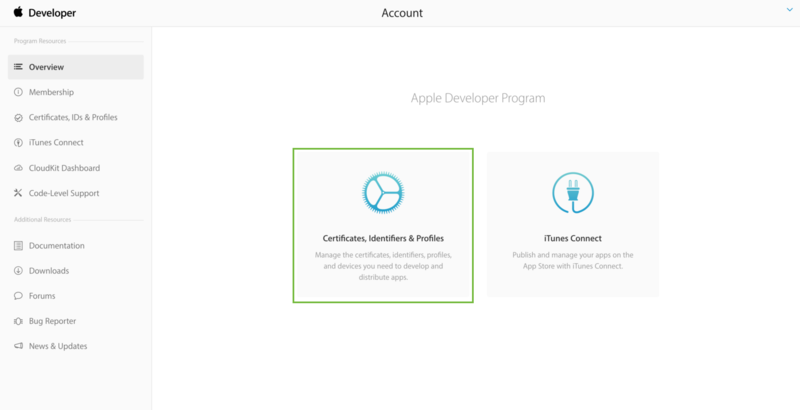 Download the Development Certificate and click Done to finish the process. 1. 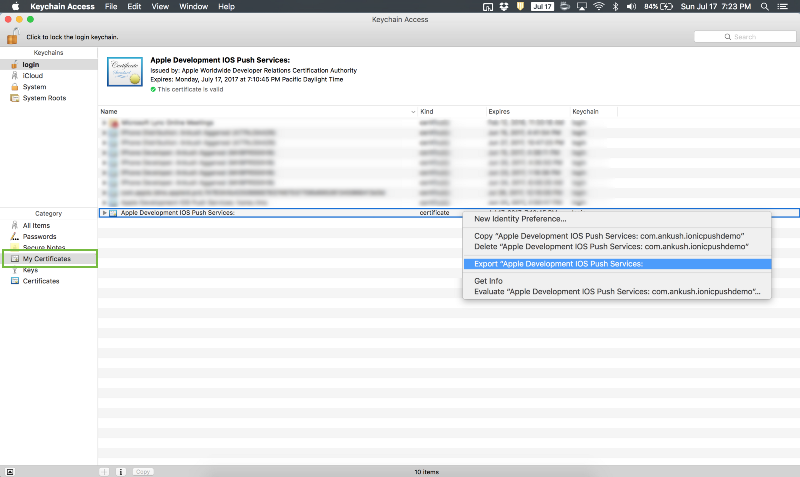 Double click the Development certificate generated in the previous step to add it to Keychain Access. 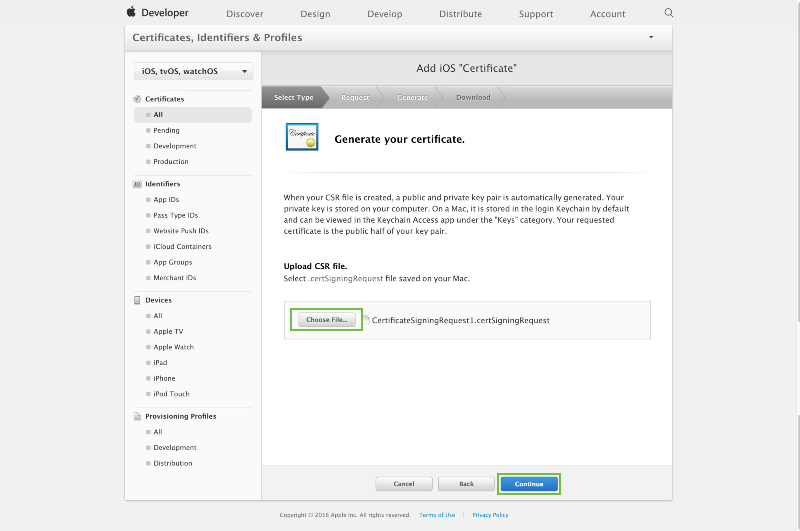 Go to Keychain Access, select login keychain and My Certificate from the side menu. 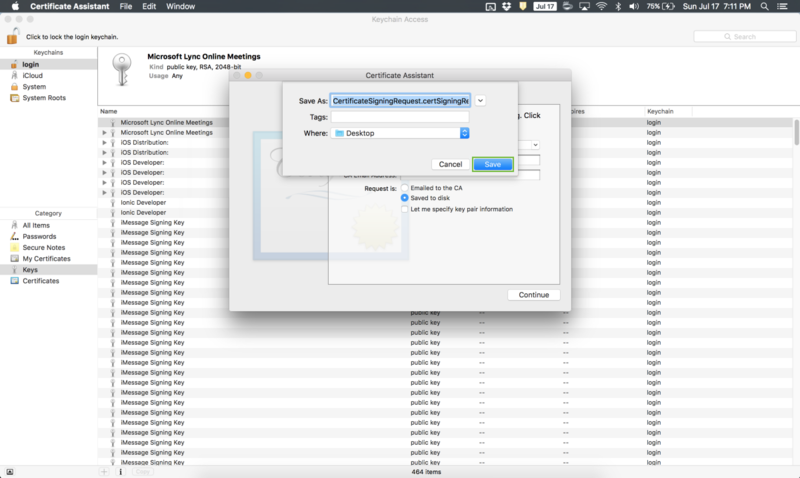 Find app certificate and right click to export it. 2. 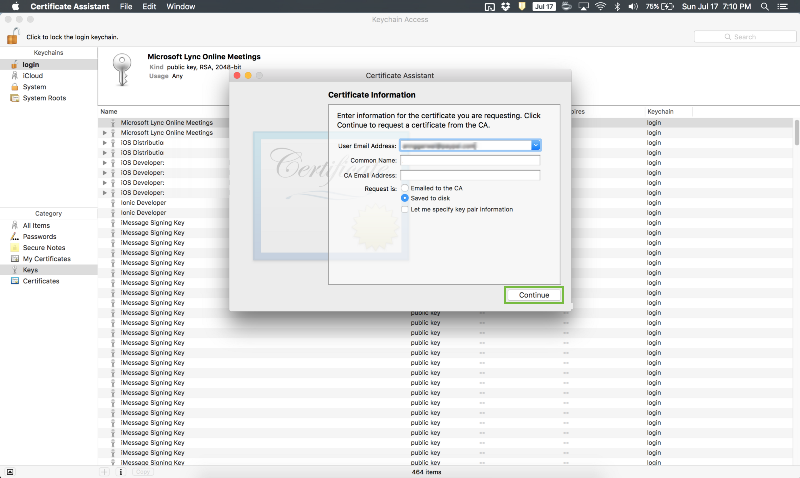 Enter the certificate name and click "Save". 3. Enter your computer admin password to finish the process.